Roxane Gay takes no prisoners. She is one of the most important female voices to emerge into literature in the last ten years. The importance of this book is going to be measured in the decades to come because her message is so overwhelmingly complex and important that it should be taught in universities across the globe. 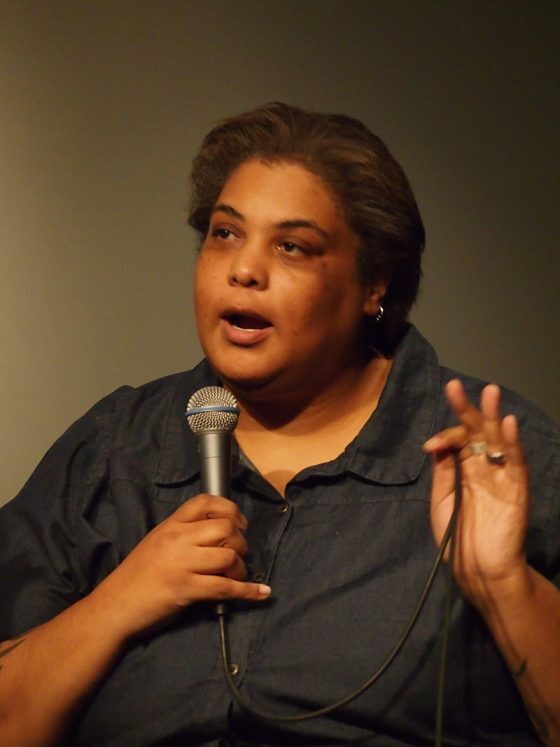 Roxane Gay was born in 1974 and is a New York Times Best-selling author, university teacher, editor, commentator, influencer, feminist and one of the strongest women I have ever seen in my life. She is a source of inspiration for us all and might be the first step into a new world of understanding. She only came into the public eye with her majestic dual debut in 2014 with An Untamed State, which is a novel and Bad Feminist, a compilation of essays. Her writing is as powerful as she is and took the world by surprise. She received critical acclaim for her work and was in everyone´s mouth the entire year. The first time I read her I was completely taken by her intimate, friendly prose that is academic, concise, clear and very professional, but still very close. When I was reading Bad Feminist, the first piece of her writing I ever got, I felt as if I was not reading at all, but I was chatting with someone I had known for a long time. Please read that book before Hunger, but make sure you read them both. The first thing I am going to tell about Hunger is that it is a memoir written by someone who´s had a very difficult life. 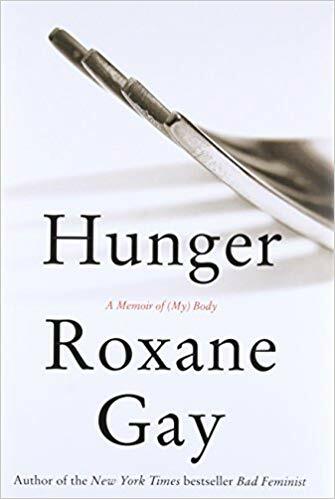 The book is about Roxane Gay, her relationship with food and overcoming the image of fatness but is also about adding a third dimension to the word fat that most of us don´t even bother to think about. She explains in her book many things regarding her food addiction and how she got to weight 577 pounds with a height of little over 6 feet, but most crucially, she explains how she was gang-raped by the boy she liked, and her friends and food became her shelter. She explains, after the disturbing scene how she felt safer as she saw herself fatter. She was only 12 when the event happened in a hunting cabin in Nebraska, where she grew up, and her catholic raising made her feel guilty about her sexual abuse. She didn´t even tell her parents until many years later, in change, she found shelter in food. There is a special bound that is ethereal throughout the book, but if you read carefully, you might be able to catch it: she is speaking as a woman in the voice of a writer and her prose is what made that broken woman powerful. She hated herself for a long time and was involved in food orgies more than she can remember. There was a sense of hiding she felt very comfortable, but it was her writing that unleashed her true power. The third dimension to the fatness problem, especially in a society like ours in the United States makes us wonder which the reason behind obesity in each case is. It is not as simple as we think it is. Someone who is obese or morbid obese is not just someone who has no respect for her body or common social and esthetic parameters; it has more to do with screaming out loud there´s a big problem they cannot say with words. Her clever, concise, pristine and resourceful prose will make you see the world through a new lens, an enhanced one. She belongs to a minority, she is a Haitian-descendent, bisexual woman who is overweight and fearless and has something to tell for us all to listen and more importantly, learn. Reading this book made my view of the world a little better, a little broader and more caring for my peers. A strong woman like Roxane Gay can make a difference even in a society like ours that pushes a stereotype over women through as many channels as it can. Read the book, pass the message, hug your peers and embrace difference to make this world a better place.